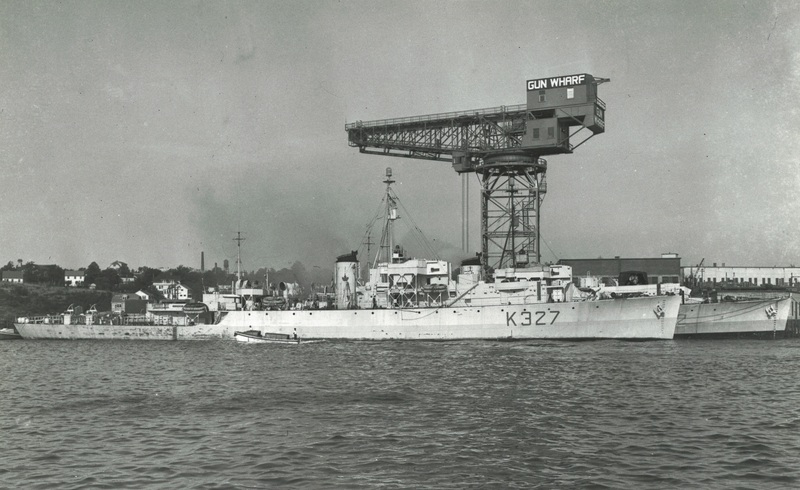 Commissioned at Montreal on 27 Nov 1943, Stormont arrived at Halifax in Dec 1943, worked up in St. Margaret's Bay and in mid-Mar 1944, sailed for Londonderry to join EG 9. 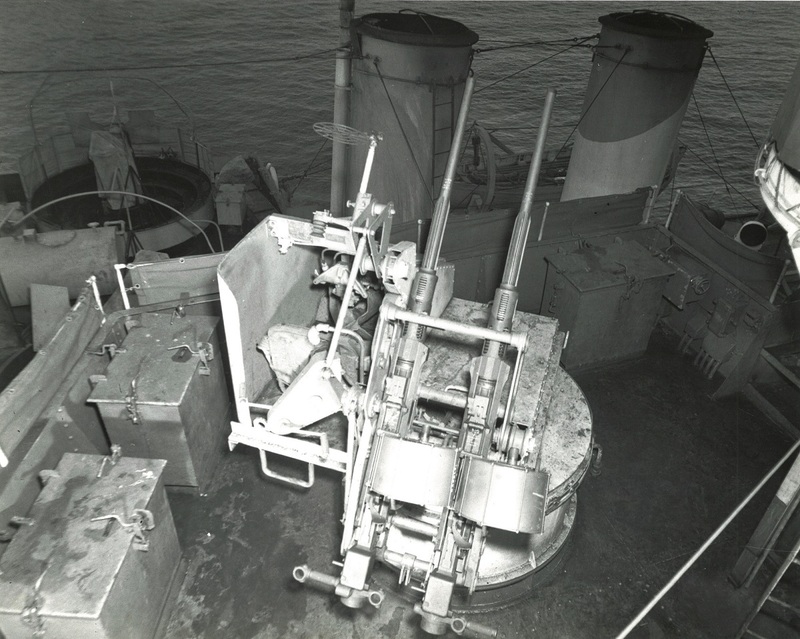 She was present on D-Day, and in Jul 1944 assisted the damaged HMCS Matane toward Plymouth. 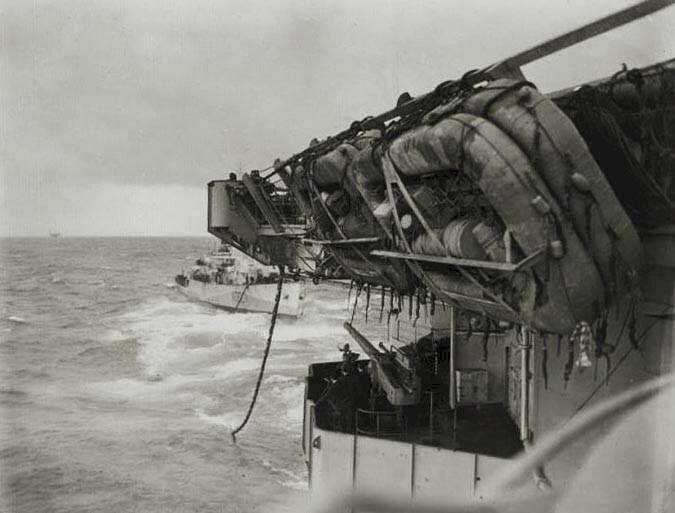 In Oct 1944 she escorted a convoy to Gibraltar and, in Dec 1944, escorted convoy JW.62 to Kola Inlet and RA.62 back. 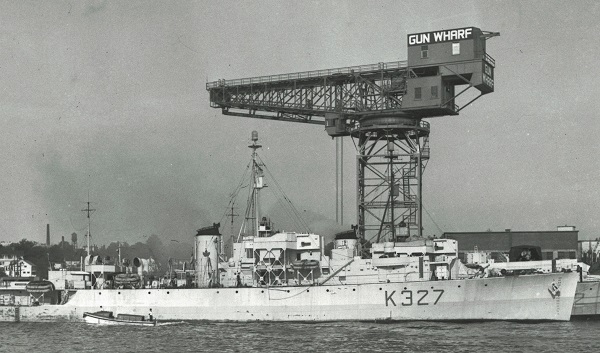 She left 'Derry on 09 Dec 1944, for Halifax and tropicalization refit at Shelburne. 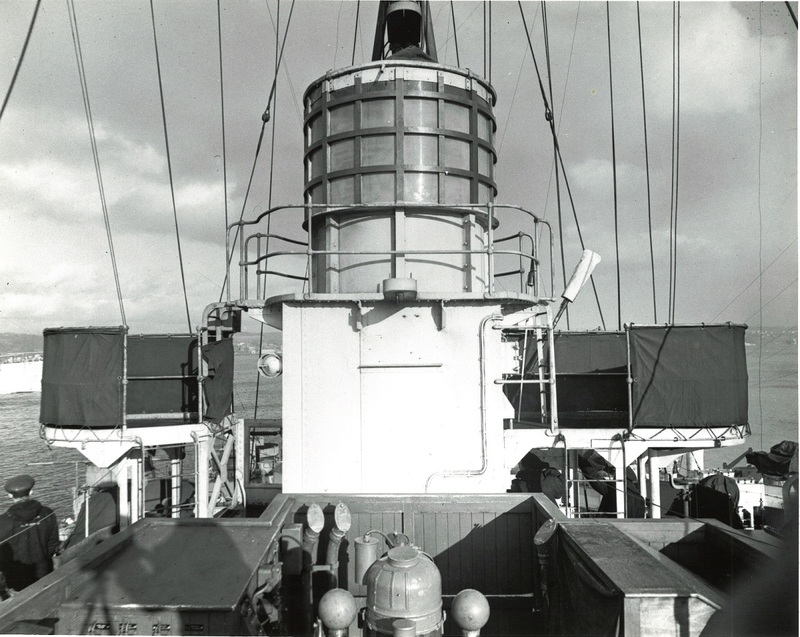 The latter, begun in Jun 1945, was discontinued on 20 Aug 1945 and the ship was paid off 09 Nov 1945.  She was sold in 1947 to a Montevideo buyer for conversion to a merchant ship, but was re-sold in 1951. 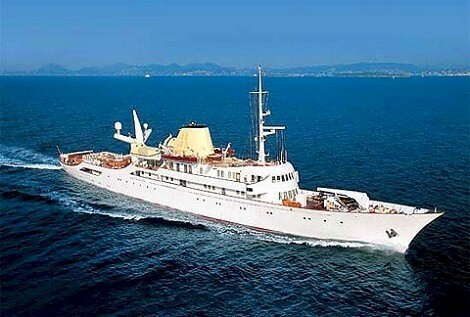 Converted at Kiel, 1952-54, to a luxury yacht for Aristotle Onassis, she was re-named Christina. After the elder Onassis died in 1975, Christina inherited the yacht, and gave her to the Greek government as a presidential yacht in 1978. 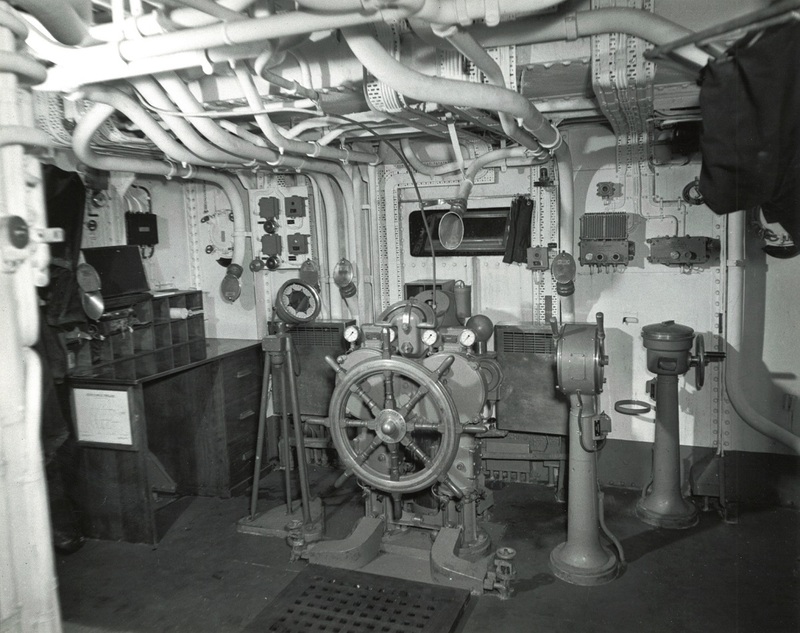 She was renamed Argo for a number of years, but was eventually allowed to deteriorate. 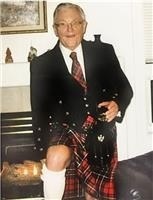 In 1998, she was purchased by another Greek ship owner, John Paul Papanicolaou, who restored her and renamed her Christina O. She continues to sail. 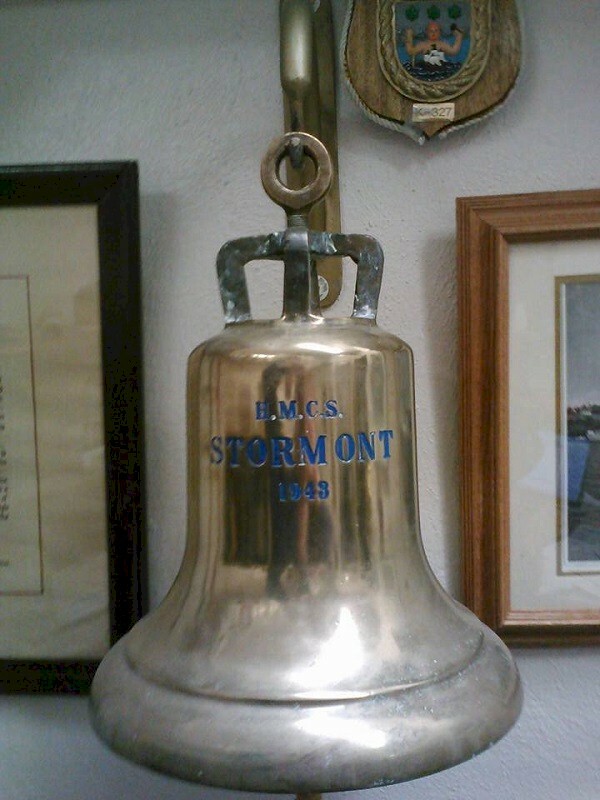 Ship's bell for HMCS Stormont K327 located at RCSCC Stormont, Cornwall Armoury, Cornwall, Ont. 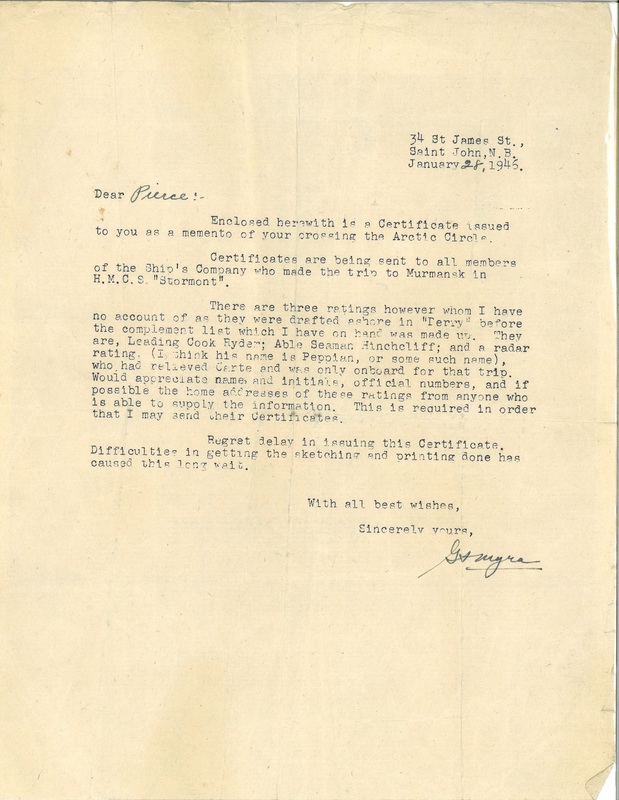 Letter to Jeffrey Pierce that was with his certificate for crossing the Arctic Circle while on board HMCS Stormont while en route to Murmansk.